Inian Islands Institute. Photo by Lauren Oakes. Inian Islands Institute is a 501(c)(3) non-profit organization dedicated to the education and inspiration of rising environmental leaders, within the phenomenal setting of Southeast Alaska. Inian was born when four Stanford PhD students, recognizing the deep importance of experiential education and Alaska’s power to capture the imagination, coalesced around a common mission. 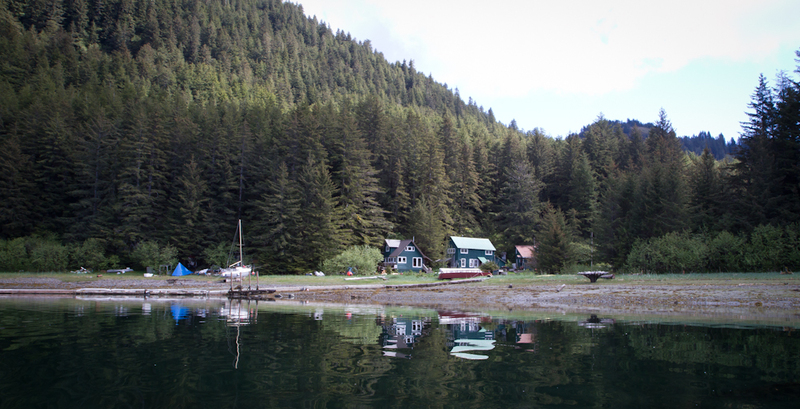 We are purchasing a gorgeous property in the Wilderness of Southeast Alaska in order to establish a one-of-a-kind field school. We invite you to join us in this mission, to help give students life-changing experiences in the ecology of the vast Alaskan Wilderness. Good luck. Sounds like a great idea. We bumped into Zach on the beach just north of Cape Blanco OR on 5/26/14. Great website. Bill alerted our local NPR station; KLCC Eugene for potential story coverage.